We offer PicoPSU from wide input to automotive. 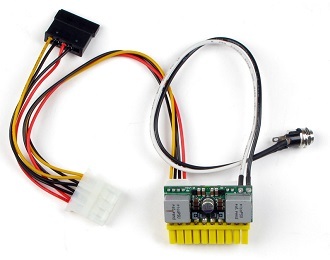 PicoPSU is a small but efficient DC-DC converter that directly plugs into the motherboard ATX connector. picoPSU is an ultra small DC-DC power supply, designed for use with small form factor motherboards and embedded PCs.